Bilfinger Salamis left the OCA in 2016. Unions described the move as an attack on workers’ rights, but the company said at the time it would maintain competitive offshore pay rates, create jobs and remain engaged in continual talks with unions through its employee representative committee. Unite said Bilfinger Salamis workers have since fallen as much as 5.6% behind the hourly rate agreed with the OCA, and 10.1% behind on sick pay. It means some workers could be more than £1,000 worse off per year. The union said it was prepared to launch an industrial action ballot if its doesn’t get “complete parity” for crew at Bilfinger Salamis. A spokesman for Bilfinger Salamis said Unite’s figures were “spurious”. The spokesman said the company had continued annual pay reviews since leaving the OCA in 2016, with increases provided in 2017 and 2018. It will do so again on April 1, 2019 for 2019-20. 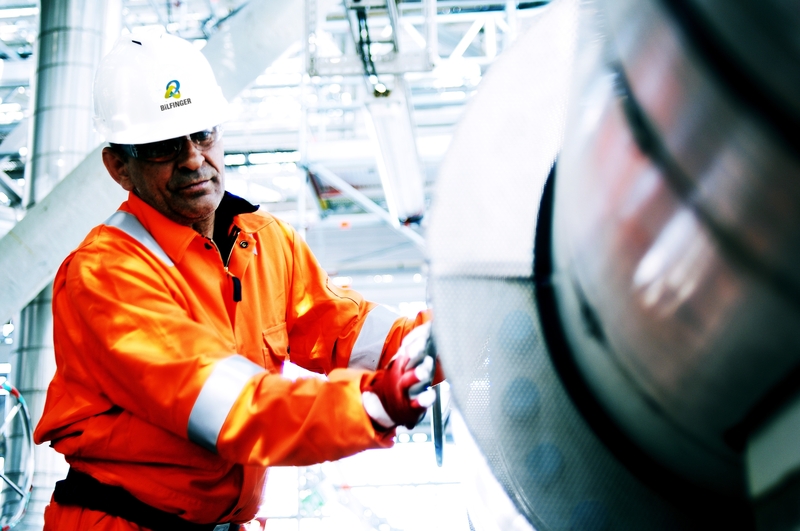 He said Bilfinger Salamis was expanding rapidly, creating over 700 new jobs last year. The workforce were “better off” in 2018-19 than those covered by the OCA, because the company had reviewed and increased the offshore rates in April 2018 whereas the OCA members had no increase from April 1, 2018 to December 31, 2018 as the deal agreed in January did not provide backdated pay. Unite said: “We have requested an early meeting with the senior management to discuss this pay and conditions claim with the intention to have a formal response to put to our members no later than the close of business Monday 25th February 2019. In July 2018, Unite accused Bilfinger of “imposing” a wage rise on its staff “without any prior notice”. It said the 2.15% increase for 2018-19 fell short of the conditions of the OCA partnership agreement. At the time, Bilfinger said the pay rise meant its workers were receiving a second increase in as many years, despite challenging market conditions.